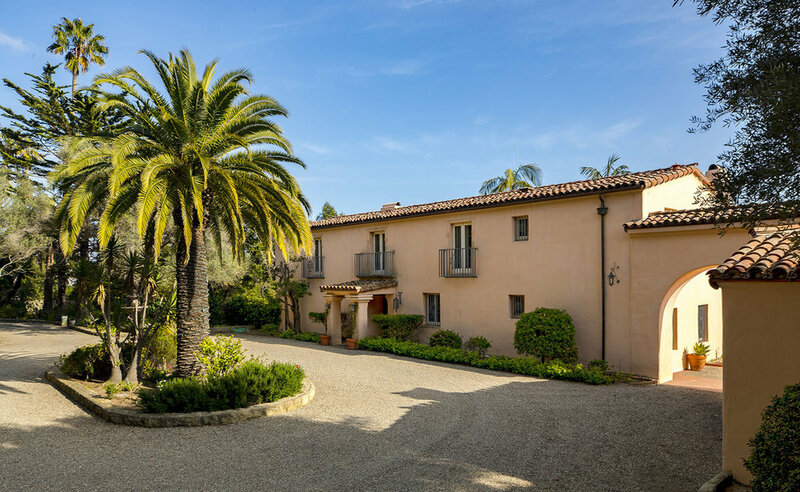 This is one of Montecito’s few remaining original Spanish Colonial estates with well preserved classic architectural details throughout. 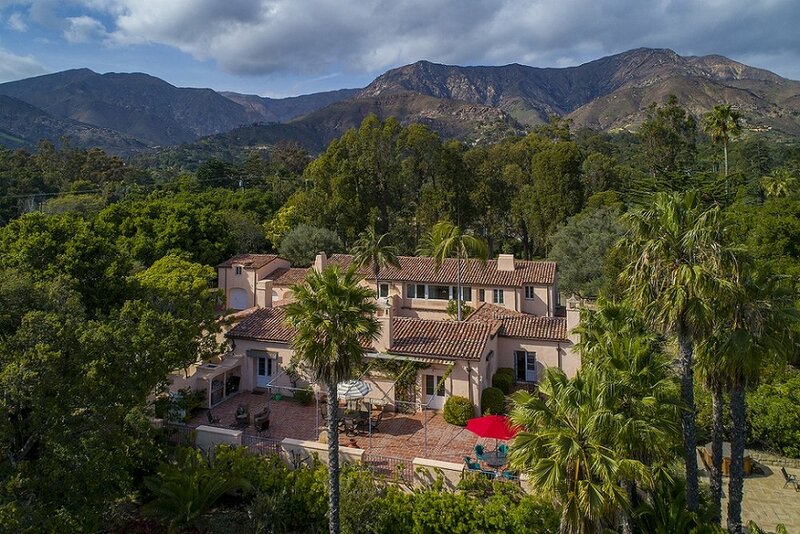 Located in the heart of Montecito on a slight crest amid major estates on 2.8 usable acres, the residence overlooks the gracious Valley Club and offers ocean and mountain views. The home maintains the architectural integrity it is famous for including the central courtyard, the full height entrance hall with unique clerestory window-door, coved ceilings, double groined hallway ceilings, wrought iron doors and window grills, hand- carved wood doors, and terra cotta tile floors. The magnificent site and views can be appreciated from the sweeping terraces, upstairs and down, that beckon for entertainment. 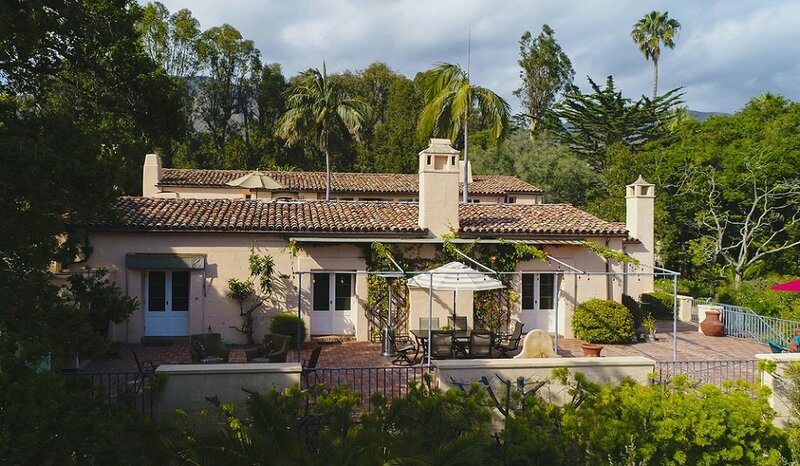 This home, known as Slater House II, is arguably the quintessential design by Mary Craig, a renowned architect whose many famous buildings in Santa Barbara with tile roofs, white stucco walls, and wood-beam ceilings have become synonymous with Santa Barbara’s Spanish-derivative architecture. Architectural treasures abound such as the original tiled flower arranging sink in the women’s cloak room, the signature rounded-stone courtyard with the architect’s initials, wood doors with polished carved detailing, and the upstairs view terrace with a view of each chimney top featuring a different finish to replicate a sense of a village. The spacious wood ceilinged living room leads one to the expansive terraces through multiple French doors. The elegant dining room has a classically beautiful wood fireplace. There is a downstairs master with fireplace, coved ceiling, windows and doors on three sides, several closets, and a large master bathroom. The kitchen is unexpectedly airy for a home of this age and offers a butler’s pantry, walk in pantry, breakfast area and sitting room. The home has multiple bedrooms. 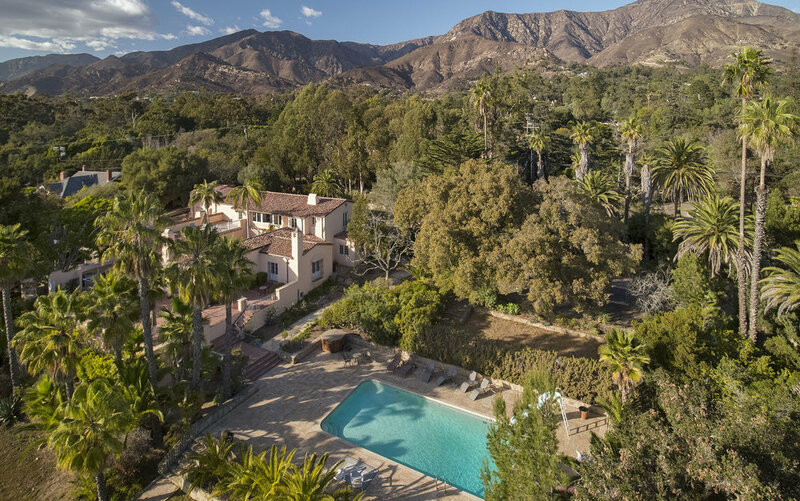 Secluded behind historic stone walls and mature vegetation there is a resort-size pool, tennis court, guest quarters and historic garden features. The original gardens may have been designed by Alice Keck and are waiting to be rediscovered and restored. There are multiple fountains and a pavilion. 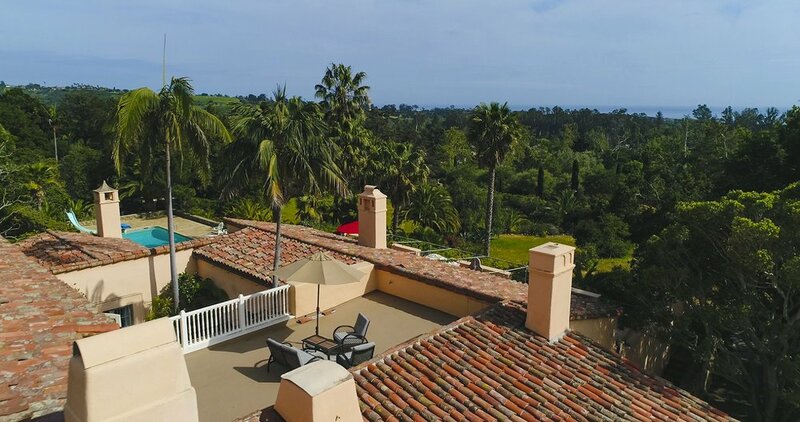 The lovely motor court provides ample parking in front of the home or drive through the archway to the brick and cobblestone parking area for the three-car garage with apartment. 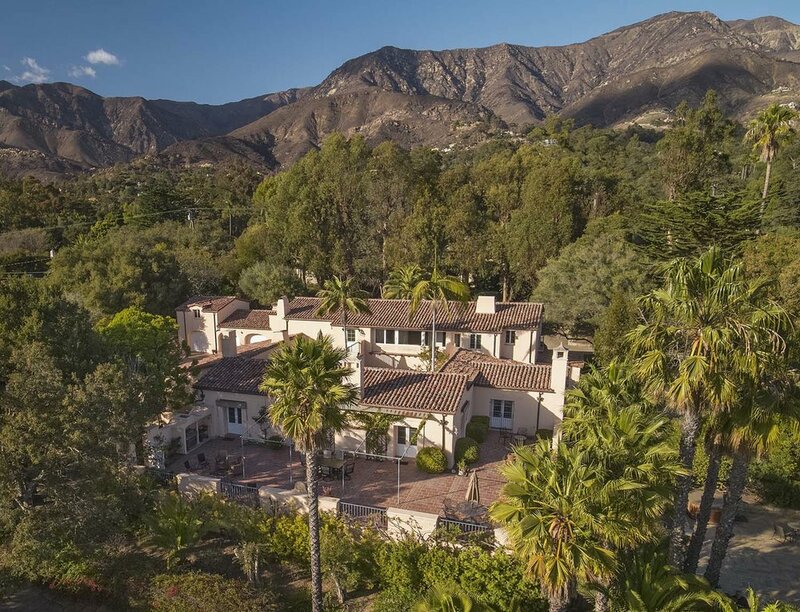 There are few original estates still in tact with almost 3 acres. 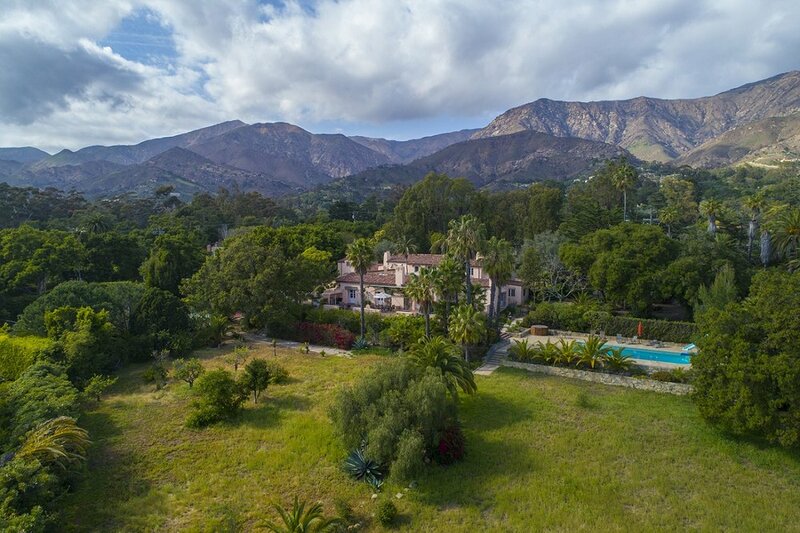 Slater House II, described in many books and articles, and not on the market for decades, is an opportunity to own and enhance a piece of Montecito’s history and create a signature estate of your own. 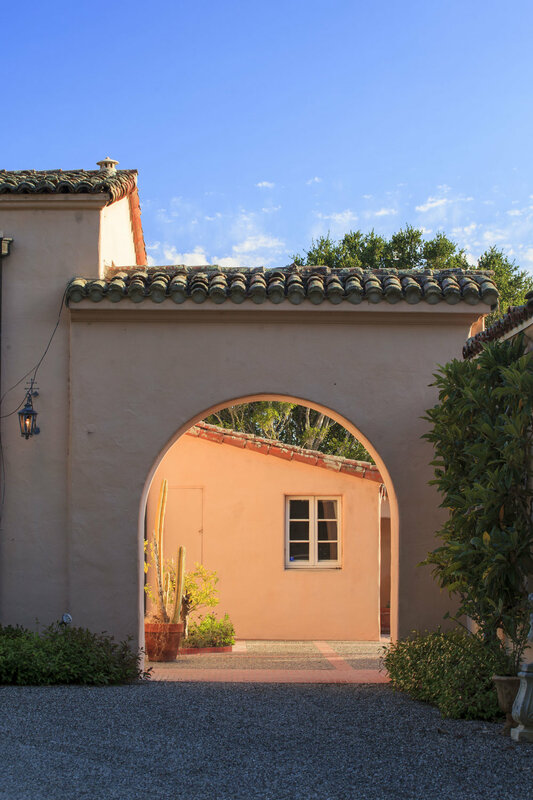 Spanish Colonial Style: Santa Barbara and the Architecture of James Osborne Craig and Mary McLaughlin Craig, Rizzoli, and article by Arielle Pardes.